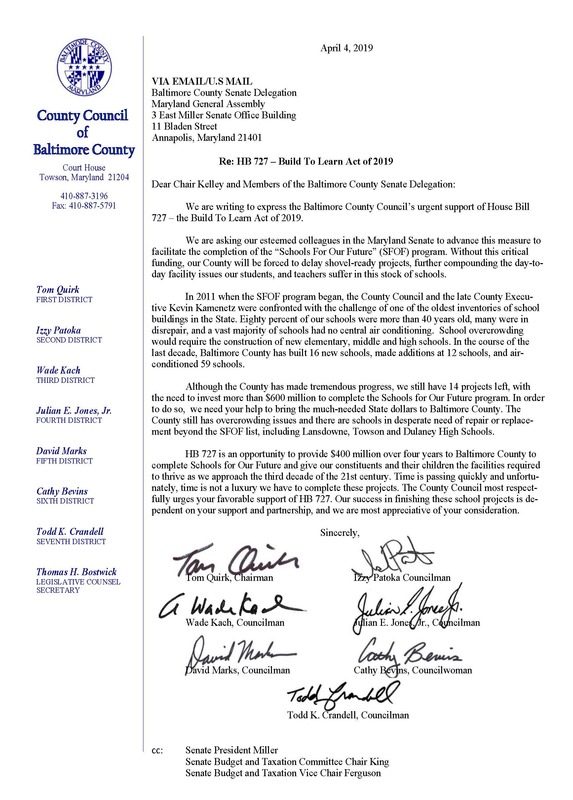 This week, I joined my colleagues on the Baltimore County Council in urging the Maryland State Senate to advance a badly-needed school construction bill. The Maryland House of Delegates has approved the Build to Learn Act, which would provide $400 million over the next four years to renovate and build schools in Baltimore County. Unfortunately, this measure has stalled in the Senate. 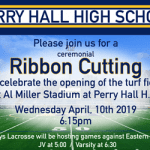 Without this funding, the county may have to take drastic steps to finance badly-need projects such as the construction of three new high schools. A copy of the letter is attached.